COLOMBO, Sri Lanka – This a small island country off the southern tip of India is one of the larger exporters of bicycles to the European Union. On average, Sri Lanka ships 1 million bikes to EU annually. The country exported 1.2 million bikes in 2011, while exports dropped slightly, to 1 million in 2012. But in 2013, exports of bicycles to EU will likely fall further, to around 700,000 units. 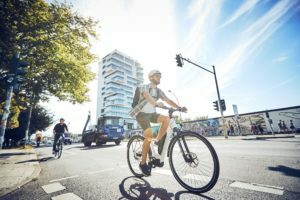 The Brussels-based Director General of the European Union has initiated an anti-circumvention investigation into imports of bicycles from four countries – Sri Lanka, Malaysia, Indonesia, and Tunisia. The investigation will be over and the report filed by March and findings will be made public by June 8. “The first half of 2013 will be tough as importers in EU are cautious in giving new orders and are waiting for the final outcome of the findings, as otherwise, importers have to pay back the duty concession for the imported bicycles during the investigation period. 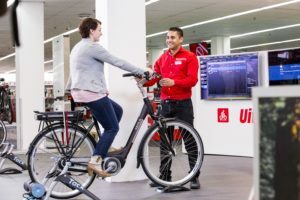 The scenario will likely improve by the second half,” said Isthairk Farook, Managing Director, Asia Bikes, which has been exporting bicycles to EU since 1994. However, overall exports of bicycles to the EU will likely slide down in 2013, due to the ongoing EU investigation and the closure of one unit in the island nation. Sri Lankan bicycle tire maker DSI also manufactures more than 100,000 mostly children bicycles annually and exports them internationally. 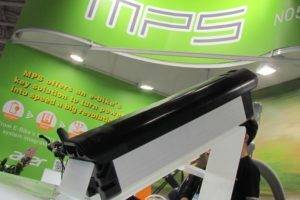 The company prefers to maintain a low profile in the bicycle business for the time being and is avoiding making any comments. 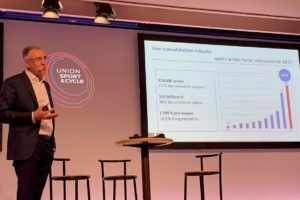 “With the initiation of the anti-circumvention investigation by European Union into imports of bicycles from four countries including Sri Lanka, we are not sure about the future of the bicycle business if findings went against the bicycle imports by EU from Sri Lanka,” said Ranatunga Rajapakse, Managing Director, Samson Rubber. 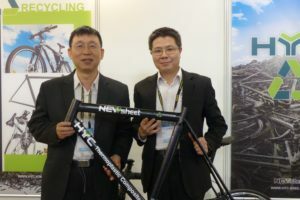 The on-going investigation is hoping to identify the companies in Indonesia, Malaysia, Sri Lanka, Tunisia and the China-based promoters re-routing bicycles manufactured in China. The EU investigation is in its final stage in Sri Lanka, while the investigations in Indonesia, Malaysia, and Tunisia are over. The findings may be used as the basis for extending anti-dumping duties on China. This correspondent got in-touch with the EU team in Sri Lanka, but they would not comment on the development. They refused to meet and said they are meeting the bicycle manufacturers and could not comment as investigation is ongoing. The findings will be made public in early June. Interestingly, importing bicycles from Sri Lanka was never a big issue with the EU when the numbers were small. But once a million bicycles starting coming in from the small island nation, authorities took notice. “We knew that bicycle imports from Sri Lanka would be noticed by EU once the quantity reaches 1 million annually. Some of the companies have not followed the right way to exports and that causes lot of problems for the genuine companies,” said one bicycle maker, on condition of anonymity. But another bicycle manufacturer says that the EU investigation is good, as it is identifying the real culprits and could blacklist them for future exports to Europe. Bicycle imports from Sri Lanka attracts a 10.5% import duty in the EU, hitherto it enjoyed GSP+ status of 0% import duty along with Bangladesh, one of Sri Lanka’s other competitors in Southeast Asia. The GSP+ status was given to Sri Lanka as a front-line Tsunami state, but it was later removed due to allegations of human rights violations occurring while bringing an end to the more than two-decade old civil war in the Northern part of the country. Interestingly, Sri Lanka has to achieve a 50% level of localisation or value addition, while remaining parts can be imported for its exports to EU, while the value addition level is a low 30% in the case of Bangladesh.